Matt believes no one is born a leader. He thrives in the executive leadership and strategic planning space, helping leaders grow, tackle obstacles, and connect with their people. To Matt, this isn’t just a job, it’s a calling - to hear people’s stories and help them achieve their biggest goals. Matt seeks to understand leaders’ struggles and enable them to move forward. Matt’s not one to just talk the talk. From going on sales calls with his granddad as a kid, to being in sales himself, then management and executive leadership, he’s been there, done that. He approaches his work with real-world experience and understands there is more to the story than what you first see. 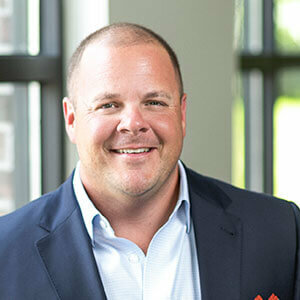 A graduate of Texas Tech and proud of his blue-collar roots, Matt spent nearly 20 years working his way up in the HVAC industry and learning the inner workings of successful businesses. A self-described boots and jeans guy, Matt can usually be found grilling out back, coaching his boys in baseball, or watching his daughter ride horses.